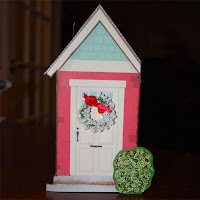 Welcome to Day 2 of the "Make Your Own Holiday Blog Hop." If you missed Day #1, just scroll down through this post. 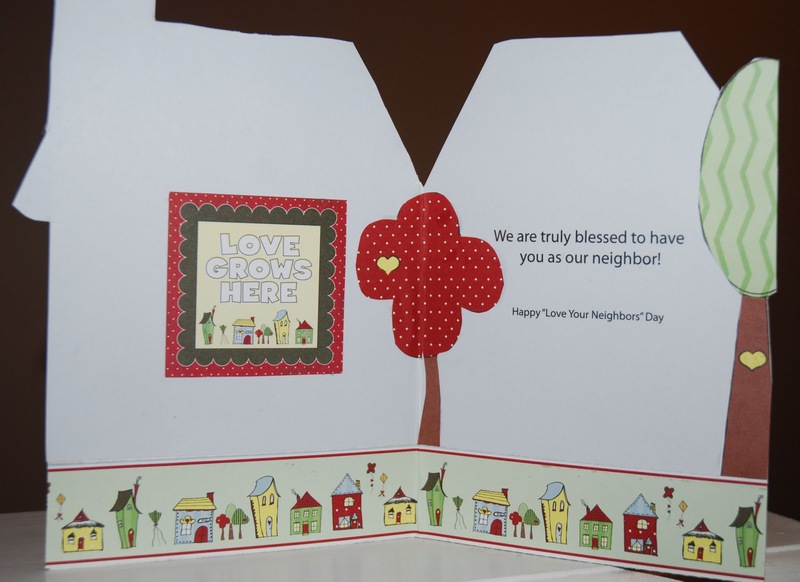 You'll see that the holiday I made up is "Love ♥ Your Neighbors Day" ... a way to salute the neighbors I love in my close-knit community. Each of these papers is double-sided. One has a red-white polka dot, and the other is a swirly medium blue solid. I'll be giving this card to my neighbor who lives at #328 on my block (which is why I changed the house number on the card), along with a pail of chocolate chip cookies. 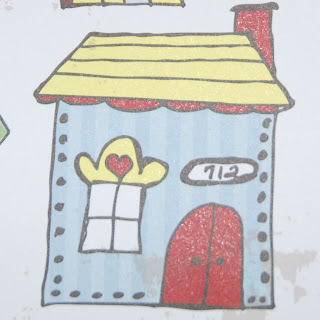 Please see my Day #1 post to see the pails I made for each of my neighbors. SCROLL DOWN to See Day #1 post, as well as info on how to WIN BLOG CANDY in honor of "Love ♥ Your Neighbors Day." In typical CardMonkey fashion, I've over-committed myself for this weekend. Not only is it my 12th wedding anniversary (March 27) and my SIL's birthday, but I'm participating in two blog hops! If you're here for the Make Your Own Holiday Blog Hop hosted by the inimitable Karelj, you're in the right place, and read on. You'll find a cute project featuring my "♥ Love Your Neighbors ♥" card and gift set, blog candy for this hop's participants, as well as links to your next stop. If you're here for the Disney Pixar Blog Hop, you're welcome to detour here briefly but if you'd rather continue on that hop immediately, please CLICK HERE to be beamed up to my post for that special occasion! There, you'll find some Disney scrap layouts to document a trip to Disney (worth scrap-lifting! ), and a Mickey-inspired Birthday card. And you'll find another blog candy from CardMonkey for those participants. Feel free to visit both, comment on both, and be eligible to win and win!! Welcome to the "Make Up Your Own Holiday Blog Hop"! You should have arrived here from Mistyrose at Sweet Magnolia Rose. If you just stumbled across the hop, and you’d like to start at the beginning, hop over to Karelj’s blog at www.kareljcreations.com to start at the beginning. 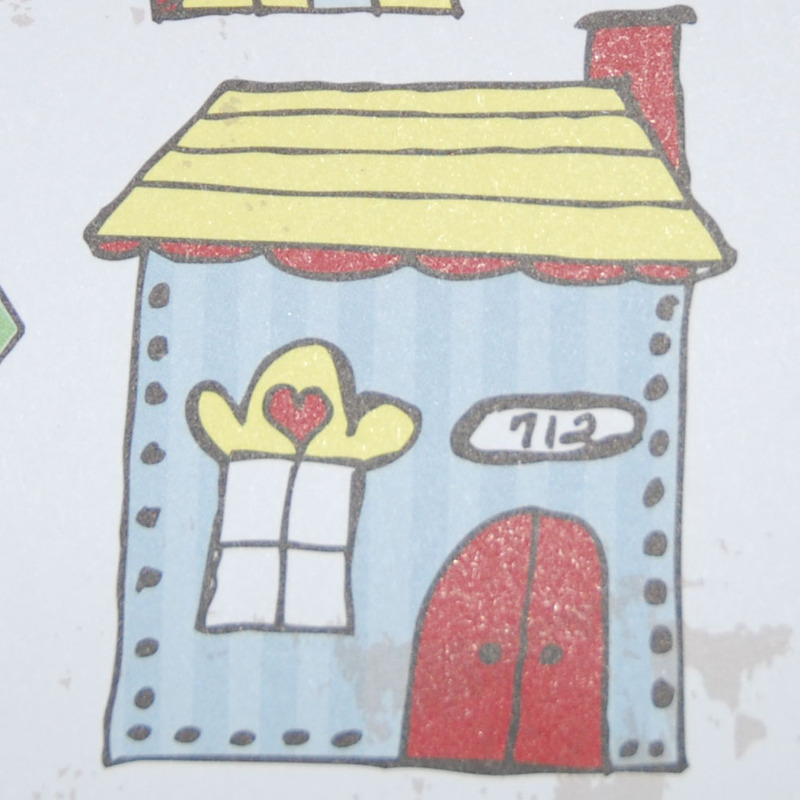 After my stop, you should head over to Rachel to see what Stamps Happy creations she has in store for you! 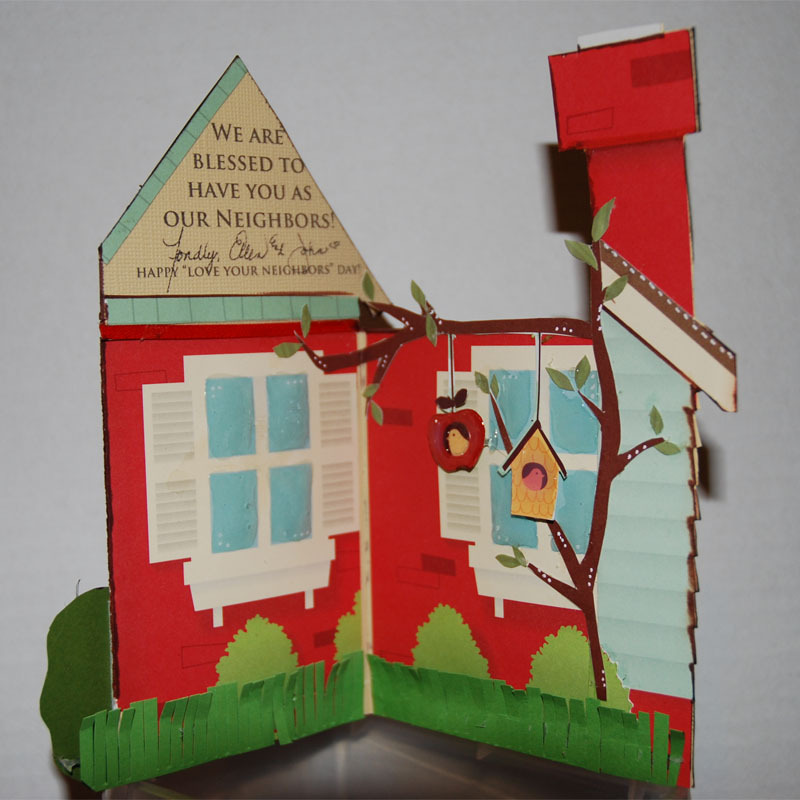 For the card (which is 4.5" wide by 7" high), I used one sheet of October Afternoon's paper. This paper has a full sheet of a house printed on it, which I trimmed down to use. I added some accents (white gel pen, brown Copic markers) and then made a wreath and a bush to compliment the printed bushes inside. To make the wreath on the door, I used one branch of flowers by KaiserCraft and curved it into a circle. It wrapped neatly over itself, and I secured it with a bow. For the bush, I cut a piece of green cardstock, and ran it through my Swiss Dot Cuttlebug Folder. Still not happy with it, I edged in ink, then colored the Swiss Dots red. Ugh, even worse! I tried blending ... eeeek! About to toss it and start over, I covered the bush in Glossy Accents. EEEEK! Bushes aren't glossy! So then I took another branch (green) of flowers and shredded it into the Glossy Accents. Voila! This I like!!! I fiddled around with the paper until I got the layout I liked with two windows side-by-side. I added a little piece of the siding and roof, plus the chimney, to balance out the right side. (OK, if I thought of this before, the siding would have been a flap.) 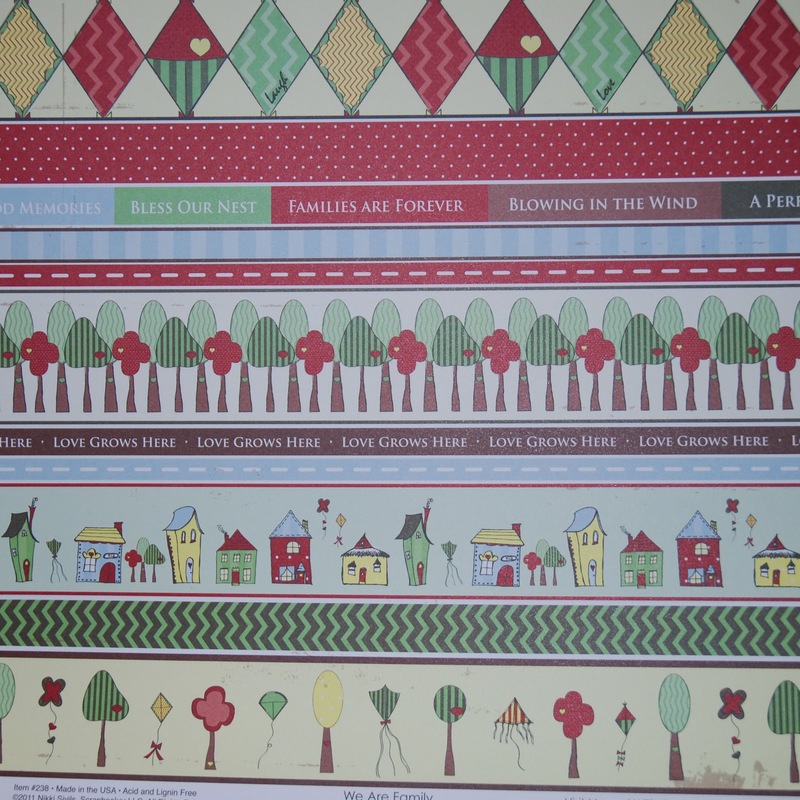 Now I admit that the siding looked a little odd, until I decided to fussy cut a branch or two from some other patterned paper I bought today. It has these cute bird feeders hanging from it. 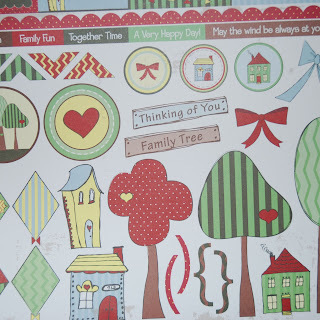 Next, I fussy cut some leaves, drew in some white dots for accents on the tree and window panes, and added the sentiment (which I printed on my computer). I still wanted something, so I added the clipped grass at the bottom edge. I made these with really cool Martha Stewart fringing scissors. Have you seen these?! 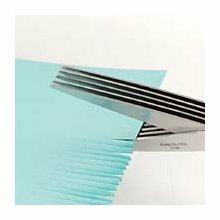 For the bucket, I trimmed a window out from the top part of the paper, cut out the window panes and glued it to the bucket. 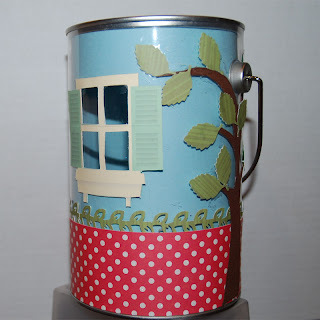 I lined the bucket in blue to match the house background, and cut out a window to see through. I added a border of Bazzill glossy dotted paper that I trimmed with laurel leaves cut with a Martha Stewart punch. Wanting to cover the seam in the red dotted paper, I added a tree (fussy cut from brown stock), and leaves punched with a Punch A Bunch. I'll load it with homemade chocolate chip cookies before gifting it. THE INSIDE OF MY CARD (SHOWN ABOVE)? and I have a new pair for the winner of my blog candy! at the same time. SO fun to use! 1. Be a follower of this CardMonkey blog, and let me know that you are, in your comment. 2. Post a comment prior to 12 Midnight EDT on Sunday March 27. I've got "Randy" at Random.org standing by to pick the winner by chance afterwards, and I'll post the winner's name here and send an e-mail to the winner if you leave me a way to contact you. 3. Winner has one week to send me a US mail address for the prize; winners outside of the USA will receive a gift card in lieu of the prize, to an online merchant serving their country. 4. 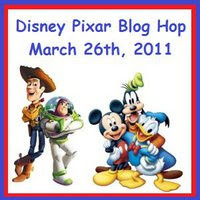 Feel free to make an additional comment on the other post I'll have up today, for the Disney Pixar Blog Hop. There is different blog candy offered for that hop ... check it out. Karelj is offering an over-all blog candy for those who are hopping along with us. She thought it would be fun to have some holiday-themed candy for this hop--but, of course, made-up holiday items were hard to come by! 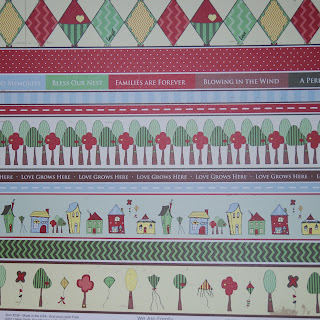 She decided to do a whole bunch of *regular* holiday themed stamps for you to enjoy. 5 sets of clear stamps from various dollar bins in big box stores. How to win them? Follow along the blog trail, leaving a comment on each and every blog. On Monday, Karelj will ask her buddy Randy (random.org) to select a blog number (from the list), a day (Saturday is one, Sunday is two), and a comment number from that blog. Please make sure you have left a reliable way to contact you (email is best, in the safe format of **** at **** dot com ) so you can be notified by her personally. If you don't, she’ll have to select another winner. to thank her for hosting this great blog hop!! Love the card and bucket. Such a cute project! Your details are out of this world! The bush story I can totally relate to... Wait until you get your gift card. Ellen, your card is fabulous love all the details! I'm sure your neighbors will love it! Just can't get any cuter than that, and what a sweet and thoughtful holiday. I'm on day 1 of the blog hop and I am already a follower. Great idea for your project. 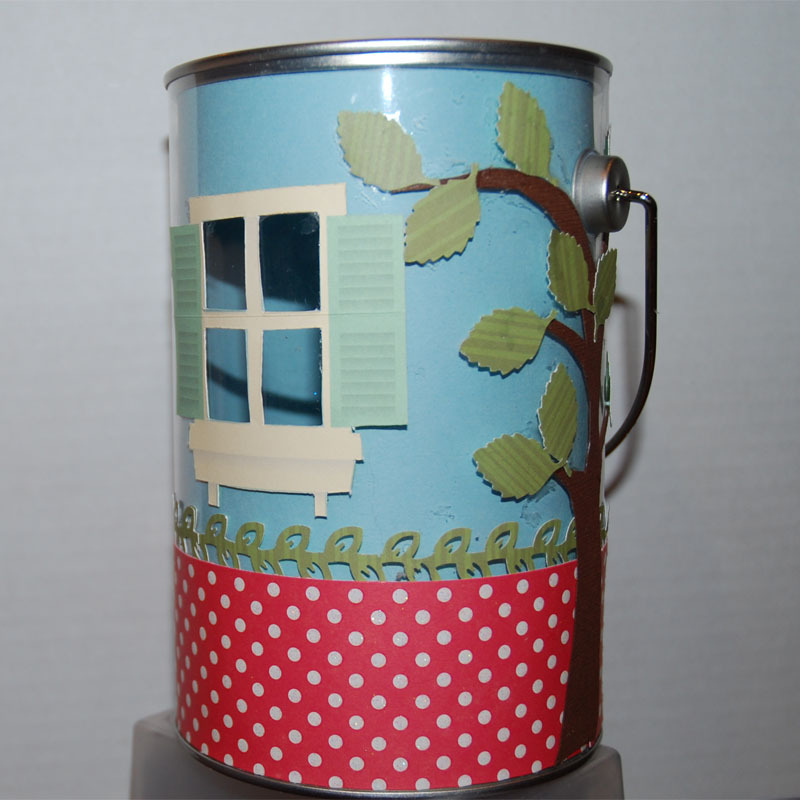 Love your card and cute can for you homemade chocolate chip cookies. I would love to be you neighbor. such a wonderful project Love it. WOW! How fantastic are those?!?!? You did a fabulous job and I've never even heard of those scissors before!!!! What a nice card. Ilove it! The colors are really bold. I love your project. I just bought that paper line. I end up with all of the October Afternoon papers. You are blessed with wonderful neighbors, so nice you made them such a nice gift. Facebook has been suggesting I friend you for weeks. NOw that I found your blog, and see your work, I just might have to friend ya! Thanks for the inspiration. OHHHHH how cute!! I don't know what I like best, the card or the can???? TFS I'm already a follower. What a gorgeous card & tin plus cookies. Your neighbors are going to love it. (can I be your neighbor too?) lol I enjoyed creating a holiday for this hop & a project to go along with it. TFS! I forgot to say that I'm a follower too. I love the card and can! Its nice that you have such great neighbors!! In the words of Mr. Rogers, won't you be MY neighbor??!! Who would love to receive either of these fabulous projects. Great creativity! what cute projects. Never seen the paper cutting tool for fringe before that is awesome. Okay first may I say that you have VERY lucky neighbors!!!!!! What sweet and heartfelt creations you have made for them!!! I am sure they will love them! And bonus...COOKIES! I love your house album and can. What a perfect gift to give. You are almost at 500 followers. That is so wonderful!!! Thanks for a chance to win. Enjoying being in this blog hop with you. Very cute! 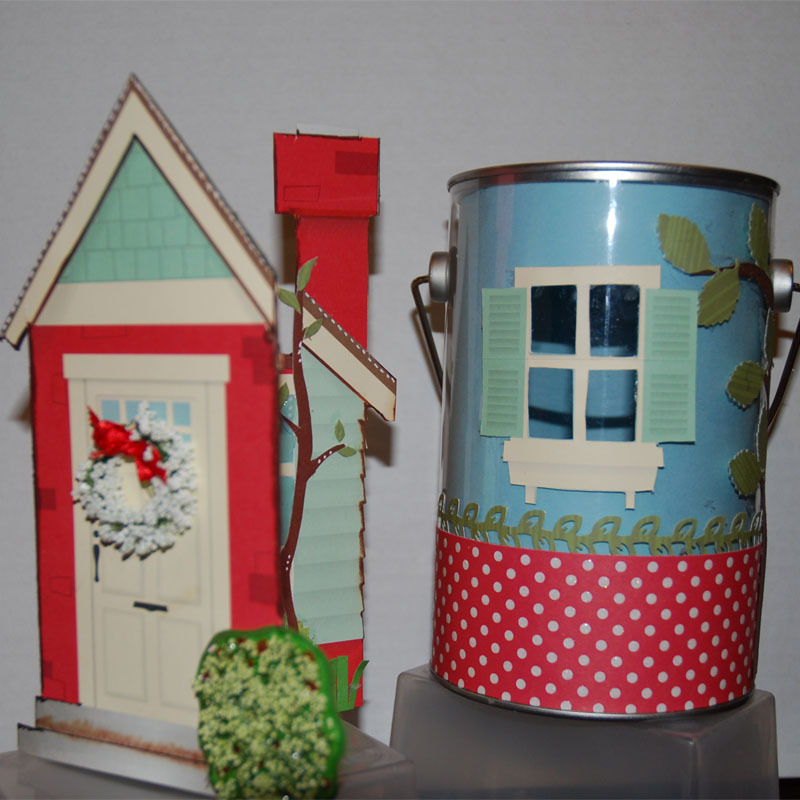 I love the decorations on the paint can! Wonderful!! Love your projects...it's great having nice neighbor's I can say that about mine as well...all at the ready when needed and private when needed. They're great!!! Your project is super cute. Love all the detail you put into it! What a sweet surprise for a new neighbor! It's so good to see that people still believe in being gracious neighbors. WOW!!! you are truly talented. what a wonderful idea with the card and bucket. the card is so detailed and so pretty and your bucket is idea really is the best I've seen so far with the little window and all-how very cute! thanks for the inspiration. Can I be your neighbor? That is a fantastic gift...I just know your neighbors love you!! Awesome projects! Wow cool project. Your neighbor will sure love this gift. That's a cool scissor. Great project! I'm sure your neighbors will love it! I'm a new follower! Thanks for the chance to win your awesome blog candy! Geez that is the nicest thing.... how wonderful are you to care about your neighbors to go and give them something like that!!! That's what's wrong with the world people just don't care.... everyone is just too too busy...I wish I was moving on to your street. I love those scissors too. I seen them on HSN I think... I was hemming and hauling about gettting them and when I decided to get them they were back ordered. So, thanks for the chance to get them. Got the fingers crossed. I may come back for the Disney Pixar Blog Hop later on. Amazing projects! I love hearing that you and your neighbors all take care of one another. I'm glad this is just virtual hopping or my legs would be falling off right about now. Two hops- wow, you're going be reading comments all night. As for these creations....fantabulous! That card is absolutely amazing. How long did it take?! I got tickled at what you went thru to get the bush just right. Sounds so much like something I would do. It turned out great. Gak! I'm going to try again! This is brilliant! Beautiful job. So glad I came across this blog hop. Such a fun card. I wish I had a bucket of homemade cookies! TFS! I just let out a loud gasp! I had NO idea Martha had those scissors!!! I'm making that dang grass all the time, ONE at a time! LOL. thanks for a chance to win some. Just became a follower of your blog, your work is AMAZING!!!! Another great card for Day 2. I love the Nikki Sivils papers & will have to look for them. Thanks for sharing your creativity. It's been fun creating a holiday & project to go along with it. Adorable projects!! I can't tell you which I like more because they're both great. Super cute! May I have some cookies, please? I am already a follower. What a wonderful project and how sweet of you to honor your neighbors. Love the card and bucket. I'm already a follower. Thanks for a chance at some candy. Love today's card! Wow, you have been busy! I love your projects, especially the paint can! Hello again, Ellen! I have spent quite a bit of time at your blog this weekend! LOL! When you do something, you go all out, don't you? Your projects are always wonderful and these are no exception. I love the cookie pail and both cards. It's so nice that you live in such a great neighborhood full of nice people. I live in the house in which I grew up and I know some of my neighbors very well and some I don't know at all. It wasn't like this when I was a kid and I miss those days. Thanks so much for sharing and for offering a chance to win those awesome MS scissors! I'm already a happy follower. Those are such cute and thoughtful gifts, thanks for sharing. I am a new follower. 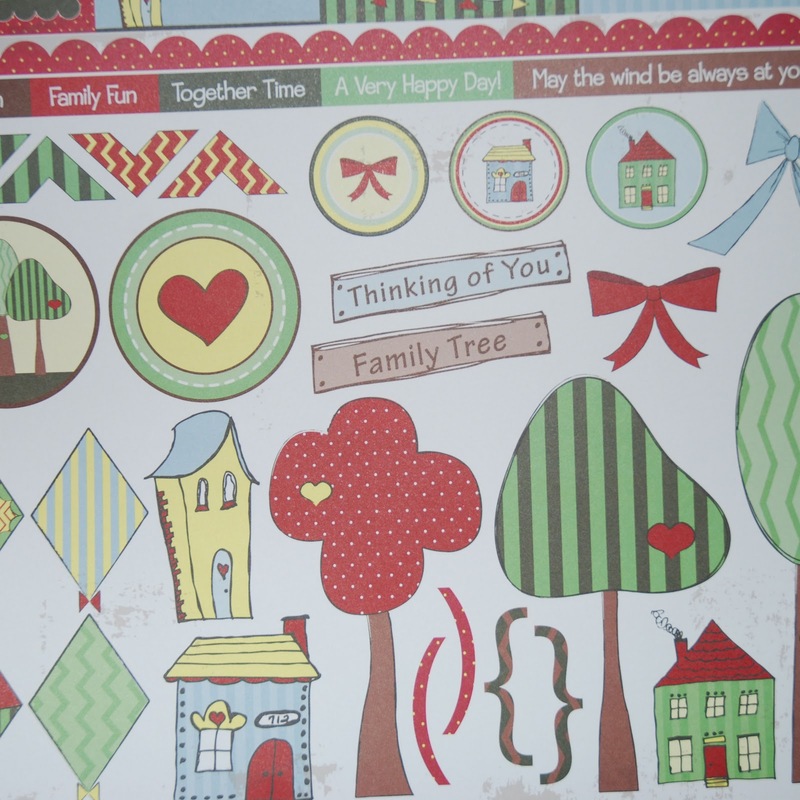 Adorable cards and pail. I just love how you have made the card into a piece of art by decorating the inside the way you did. Super cute. I am sure these will be displayed by you lucky neighbors. How wonderful your neighborhood sounds, its great to have friends as neighbors. I always look forward to your blog posts. 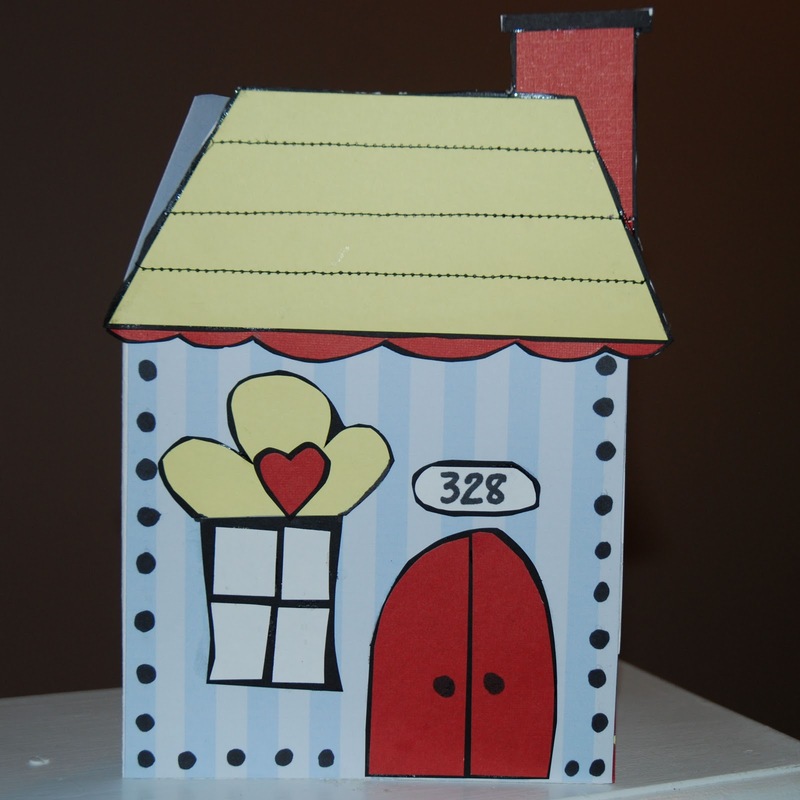 You are very creative with your cardmaking! I have been seeing a lot about Nikki Sivils lately and I think we are all just going to be seeing more. Her products are wonderful! I am a follower and my email is on my profile when you click on my name. Thank you for offering us another chance to win some fun blog candy. Love them both. Super cute bucket! I was just stopping back today to see if you posted anything else that all..
oh WOW, this is really great! I love the bucket house! This looks like such a fun Holiday. Back for day 2, love how you recreated the house for your card. How cute!! I love everything, it looks awesome! the bucket is wonderful too. Your neighbors are gonna be so happy with the gift.